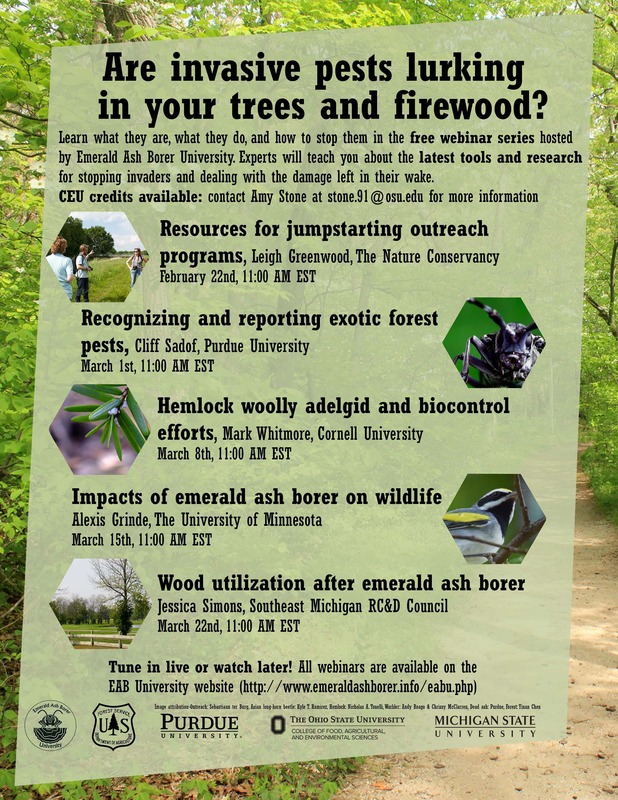 EABU is a free webinar series supported through the US Forest Service and coordinated by individuals at Purdue University, Michigan State University and Ohio State University to educate audiences on topics related to EAB and other invasive pests. We hope you can tune in during the live presentations, or catch the recorded versions at a later date and time. Additional webinars are being planned for fall 2018. Stay tuned for my information and the fall schedule this summer. If you have any questions, please contact Amy Stone at stone.91@osu.edu or 419-578-6783.